Photos: Supplied by ACT Policing. Police are seeking the public’s help identifying a man who allegedly went on a spending spree after finding a lost wallet in the city centre. According to ACT Policing, the owner misplaced the wallet in the city centre on the afternoon of Friday, 28 September. Over the next few hours, transactions totalling more than $1,300 were made using the owner’s bank cards both in-store and online. 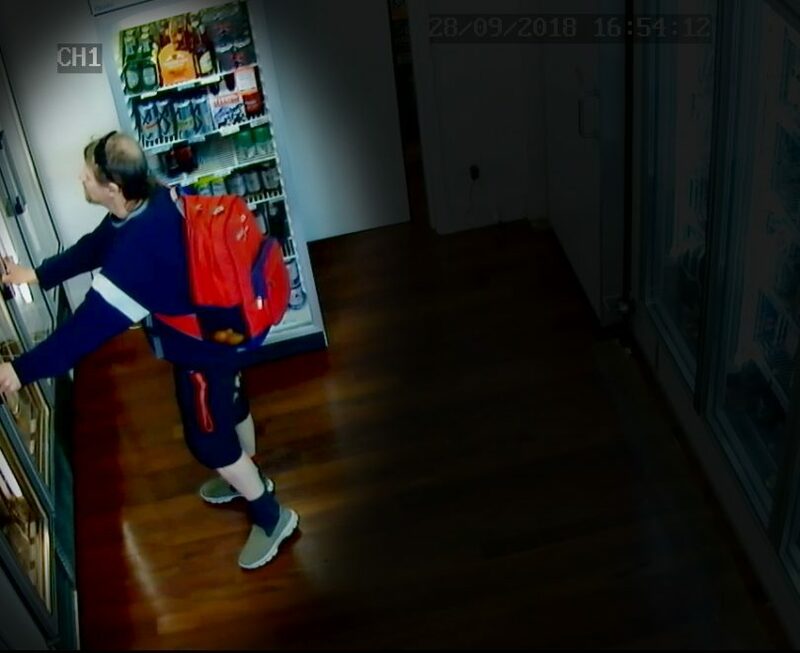 Police have released CCTV images in the hope that the Canberra community may be able to assist with the identity of the male involved. He is described as Caucasian in appearance, with a medium build, a goatee beard, and a distinctive balding ‘mullet’ hairstyle. He was wearing a blue long sleeve top with a stripe on the sleeve, dark knee-length shorts, and carrying a red ‘Billabong’ brand backpack. Police are encouraging anyone who may be able to assist with identifying the man involved to contact police on 131 444 or Crime Stoppers on 1800 333 000, or via the Crime Stoppers ACT website. Please quote reference 6314292. Information can be provided anonymously. Never mind the theft, they should be calling in the Fashion Police as a matter of urgency.